New and existing parishioners are encouraged to actively participate in our parish by joining a group or joining the rosters for reading, special minister of communion, greeting, music etc.. There are other opportunities to get involved e.g. keeping our gardens tidy or joining our planned giving program. Please click on the links below or contact the parish office for more information. 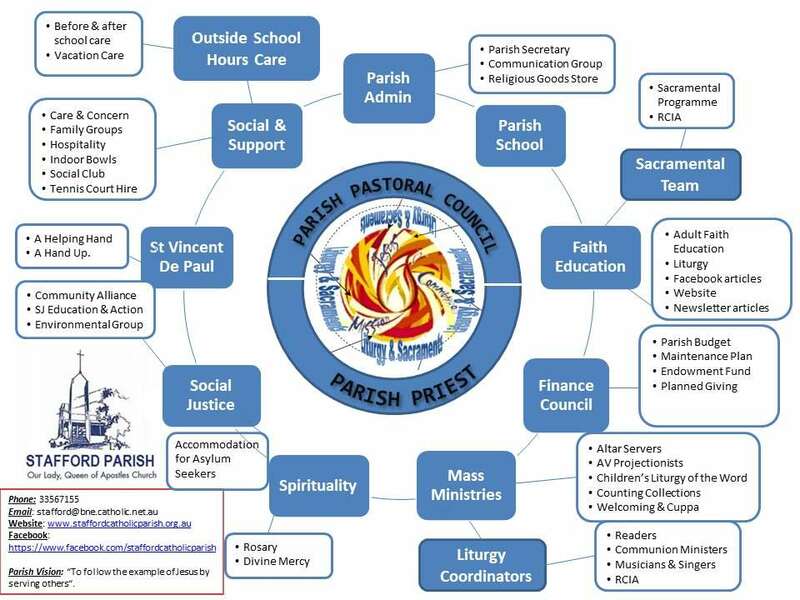 ​If you would like to volunteer for any of these ministries, you may need to complete the Archdiocesan Volunteer Data Form which is part of our Safeguarding Children and Vulnerable Adults strategy. Readers at Mass "Ministers of the Word"